Another driver has lost his life following a serious crash on Loma Vista Drive in Beverly Hills – the same steep road on which two Los Angeles police officers were killed in separate accidents in 2014. The crash investigation is ongoing; however, officers have released information that indicates the driver was unable to stop the truck. The runaway vehicle slammed into a parked, unoccupied Toyota Prius at about 8:18 a.m. near Doheny Road. The truck uprooted a tree and only stopped when it impacted a retaining wall. Early reports indicated that the driver was trapped in the truck for some time before being extricated. He was taken to Cedars-Sinai Medical Center in critical condition, where he was later pronounced dead. The name of the decedent has not yet been released. No other victims were reported for this particular crash. Nearby residents and public officials have previously expressed concerns over the safety of the street. Following multiple crashes on the road in 2014, officials issued a 30-day moratorium on the presence of heavy haul trucks on Loma Vista Drive and called for a street safety study. 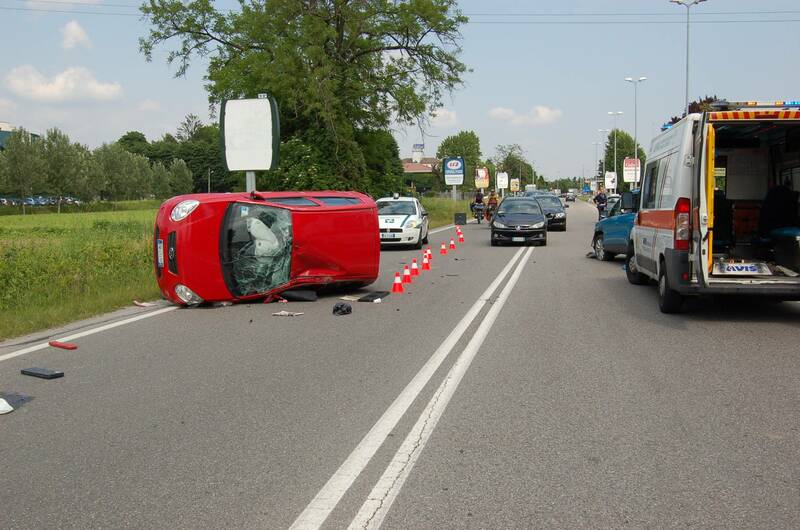 These actions led to the implementation of new traffic safety rules. Now, heavy haul trucks traveling on the road must have secondary brake devices, carry proof of vehicle inspection, limit their speed to 15 mph, and provide the city with 24-hour notice of large deliveries. It is unknown whether the recently deceased truck driver was operating a vehicle required to follow these new regulations and if so, whether the driver was in compliance. One of the previous crashes that occurred on Loma Vista Drive occurred on March 7, 2014. A dump truck struck the police cruiser of Officer Nicholas Lee, killing Lee and injuring his partner. Just two months later and only 25 yards away from this crash site, LAPD Detective Ernest Allen lost his life when a cement truck struck his vehicle. 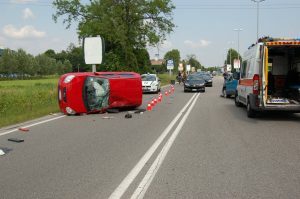 In many car accident cases, victims are able to recover compensation through insurance settlements or by filing a lawsuit against the negligent party. Liability issues can become more complicated in cases involving only one driver, such as the recent truck crash on Loma Vista Drive. While it’s true that drivers have a responsibility to exercise reasonable care on the road, the state, county, and local governments also have a responsibility to maintain the condition of the roadways so that they are reasonably safe for public travel when motorists meet their obligations to drive safely. If the local municipality fails to maintain safe conditions, then it is possible that motorists may sue the government entity to demand compensation for their losses. However, a personal injury lawyer must prove that these unsafe conditions directly caused the accident and that the city was liable for these unsafe conditions. For more than 20 years, the car accident attorneys at Ellis Law have been providing effective legal advocacy services for residents of Los Angeles and throughout Southern California. If you or a loved one has been injured in a car accident, contact our law firm at 310-641-3335 to discuss your rights to compensation during a free consultation.